What's Glam Patrol? Glam Patrol helps you look and feel your best. We are completely obsessed with skin care and helping you love your look. We will review, research, investigate and question everything just for you – Giving you a fresh perspective to the rapidly growing beauty industry. Please let us know how we can make Troy Richard Salon's Glam Patrol your source. We hope to hear from you soon. Send email to Glam Patrol : hair@troyrichardsalon.com. Send us your thoughts and questions use this link "Glam Patrol eMail Newsletter Sign up" to receive exclusive fashion tips, and glam news beyond the trend. 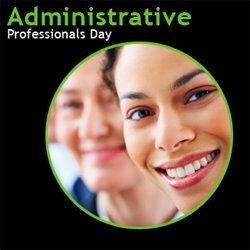 Just What the Admin. Ordered! About the author: Troy Richard Salon is your premier, upscale, full-service salon with the perfect team of Hair Designers, Stylist, Color Specialist, Brazilian Blowout, Great Lengths Extension Specialist, Nail Techs, Airbrush Tanning, Esthetician, and everything you need to love your look. Troy Richard Salon (214) 618-8071 is located at 1279 Legacy Drive, Suite 120, Frisco, Texas 75034 in Stonebriar Commons. Troy Richard Salon; the difference between everyday looks, and one that's extraordinary. Girl's, please come join us to celebrate spring with friends at the Troy Richard Salon. Wednesday, April 29, 2009 from 7pm to 9pm. Come preview Dallas's best salon for your most beautiful hair and skin treatments. Troy Richard Salon is committed to helping you love your look. We will be serving Champagne, Chambord and appetizers. 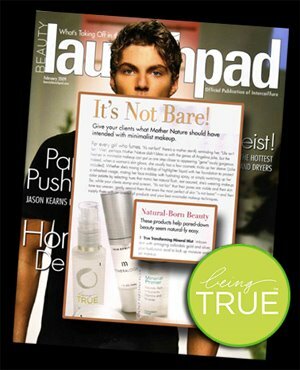 Troy Richard Salon is proud to offer True Cosmetics - the new standard of beauty. Beauty has the power to change a day or a life. Embrace its possibilities and accentuate the positive. Reveal instead of conceal, play up instead of cover up-all without apology and with a fabulous lip gloss. That's BeingTRUE to your beauty. Please RSVP via email, so we can reserve a spot for you! There is limited space so RSVP now! There is a one item minimum purchase. We've done our homework and found the perfect product to help you put on the latest celebrity makeup brand. This is no ordinary, fly-by-night makeup. No, this brand is so hot, that fashion, beauty, spa magazines, and celebrity makeup artist are all talking about it or being introduced to this fantastic makeup. And now it's here at Troy Richard Salon. What's the latest celebrity makeup brand? It's BeingTRUE® and here are the results of our homework and the recent press mentions. It's always great to see who's talking about and trying the latest makeup brands. Beauty LAUNCHPAD - The Magazine for Salon and Spa Professionals and what's taking off in the world of beauty- February 2009 issue: BeingTRUE® Transforming Mineral Mist is featured in the “It’s Not Bare!” story. 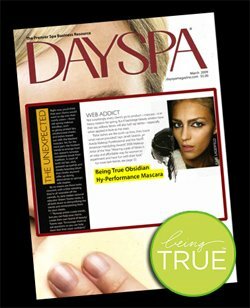 DaySpa Magazine - The Premier Sap Business Resource for sap professionals- March 2009: BeingTRUE® Hy-Performance Mascara is featured in the “Bright Side” story. Spa Magazine - travel+beauty+living - April 2009 issue: BeingTRUE® Hy-Performance Mascara is featured in the “Editors’ Picks” story. 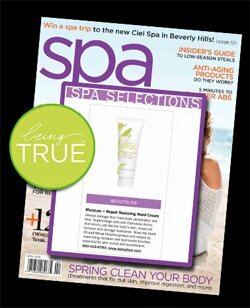 Spa Magazine - April 2009 issue: BeingTRUE® Moisture + Repair Restoring Hand Cream is featured in the “Spa Selections” story. Possessing the best of current, ancient, and future technologies, BeingTRUE® transforms your beauty to improve your skin and soul. BeingTRUE® evolved from the Spa Industry to now offer you performance products and spa services that deliver both wellness experience and dermatological results with an array of color cosmetics, skin and body care - every ingredient, every product counts and addresses all skin types and conditions, as therapeutic essential oils compliment the true being. BeingTRUE® hosted a celebrity drive-by from Nicole Scherzinger of the Pussycat Dolls. During her visit they introduced her to BeingTRUE’s Moisture + Repair collection and the Core Concepts collection. BeingTRUE® will be in touch with any feedback and will continue to send her the latest launches. You demand more than makeup and BeingTRUE® with treatment based color meets the ever changing needs of woman 16 to 60 – classic looks to expressive detail. BeingTRUE® has anti-aging benefits to nurture skin and mind to deliver dramatic results and rewards. Restoring for Dry, Balancing for Combination and Harmonizing for Oily. The Anti-Aging Collection compliments all with clinically proven results featuring the powerful, multifunctional antioxidant IDEBENONE. This constant defense and repair counters continuous aging as the supportive elements of Licorice Root, Mulberry Extract and Vitamin A amplify brightening benefits. Clinical studies show the Anti-Aging Collection delivers a 92% overall improvement in skin after 6 weeks of use. BeingTRUE® has been working with celebrity makeup artist, Kate Lee and sent her a large package of BeingTRUE® cosmetics and skincare products. Kate works with high profile celebs such Anne Hathaway, Marisa Tomei and Kate Winslet and many others. Protective Collection surpasses traditional mineral makeup with a superior level of protection and perfection and completes the BeingTRUE® skin care regimen using the exclusive technology of IDEBENONE. The proprietary BeingTRUE® Antioxidant Complex of Vitamin E, Japanese Green and White Teas offers superior daily defense from free radicals and UV exposure doubling with powerful anti-inflammatory benefits. BeingTRUE® has been working with head makeup artist, LuAnn Claps and sent her a large package of BeingTRUE cosmetics and skincare products. She is a huge fan of the brand and recently used them on the set of Hachiko: A Dog's Story staring, Richard Gere, Sarah Roemer, Joan Allen and Jason Alexander. Your skin is left renewed and balanced as the mind is left in peace and harmony. Troy Richard Salon offers you Treatment Exclusive, professional-only products, customize endlessly for professional recommendation delivering both results and rewards. Visit the Troy Richard Salon to purchase retail products and and talk to our makeup artists to enhance the benefits and continue the experience at home. BeingTRUE® brings together the most essential elements – clinical results, experiential treatments, and exquisite products in mineral foundation, color cosmetics, skin and body care. BeingTRUE® has one intention, passion, profession, message, mantra, dream, reality, calling, and answer – One Vision.